NEED A LOCAL PLUMBER IN THE CENTRAL COAST TO FIX YOUR ELECTRIC HOT WATER SYSTEM? Electric heaters can fail over time, and you’ll need a reliable service provider who can fix it when the time comes. However, you can’t just hire any electrician or restoration specialist to do the work for you. In cases like this, you’ll need to find an expert that is familiar with electric hot water systems and how they work. If you’re a resident living in the Central Coast, then you’re in luck. Wide Plumbing Services specializes in the repair and replacement of all types of electric hot water systems. We have extensive knowledge in how they work, so you’re ensured to get your electric water heater up and running again in no time. To find out more about our services, call us at 0419 012 750 or send us an email at centralwideservices@gmail.com for a free estimate. 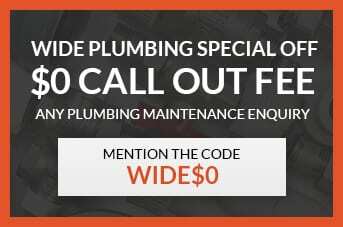 LOOKING FOR AN AFFORDABLE PLUMBING SERVICE PROVIDER IN THE CENTRAL COAST? The cost of getting your damaged electric water heater repaired or replaced can escalate quickly if you don’t have a reliable service provider who can assist you. Other companies will charge you hidden fees and exorbitant prices just to get your water heater fixed. However, Wide Plumbing does away with these extra costs and promises only quality service at a reasonable cost. We can give you the most accurate estimate without charging you exorbitant rates. Our team of highly experienced plumbing specialists have years of experience when it comes to fixing electric hot water systems. Our highly trained restoration experts have all been certified and are dedicated in delivering top-notch service. Our services are guaranteed up to a year, and we want nothing more than to make sure that you needs are met. If you’re still not convinced, we offer a no strings attached free estimate to all our potential customers. We’ll be more than happy to take a look at your electric water heater and give you a fair assessment on how much it will take to repair it. Give us a call now and find out how we can best assist you with your plumbing problems.